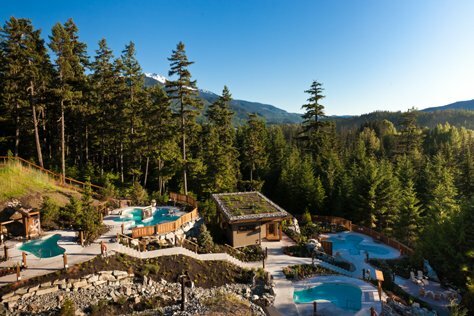 Whether you’re hitting the slopes, walking a trail, or just visiting for some rest and relaxation, you’ll enjoy the amenities at one of Whistler’s many spas. Stay in one of the luxurious hotels in the area offering spa treatments, or you can venture out of your accommodations for some pampering. The Avello Spa and Health Club in the Westin Resort offers the widest variety of treatments available at any spa in Canada. Hydrotherapy treatments are performed in imported Bouvier hydrotubs and Vichy showers, and manicures and pedicures are performed while you relax in Italian-made chairs. Clear your senses in the Eucalyptus steam room, or work out in the state-of-the-art health club before surrendering to a massage and heavenly milk bath. The luxury spa in the Summit Lodge immerses you in relaxation and rejuvenation. A variety of exotic massages are available in addition to esthetic treatments. 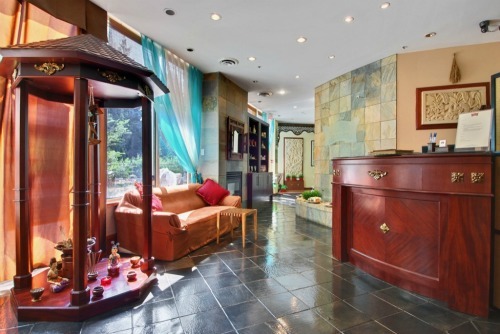 It’s the only authentic Javanese-style spa in North America, and it brings the ancient secrets of the Javanese Royal Court to anyone seeking a bit of pampering. A combination of holistic and herbal treatments, water therapy, and massage are offered in a peaceful and harmonious setting—bringing balance to your body, mind, and spirit. The ancient Finnish tradition of alternating hot and cold water for rejuvenating hydrotherapy is the focus of this unique spa. Scandinavian baths cleanse the body, remove toxins, and stimulate circulation. They soothe the muscles and awaken the senses, leaving you feeling refreshed. Submerge your body in a steaming outdoor hot tub with the crisp, cold, mountain air swirling around you, or relax in a sauna or steam room. Traditional and therapeutic massage can help work out the kinks you’ve developed after a long day of hitting the slopes. Thai yoga massage helps you stretch your muscles and relax after a hard day of playing outdoors. 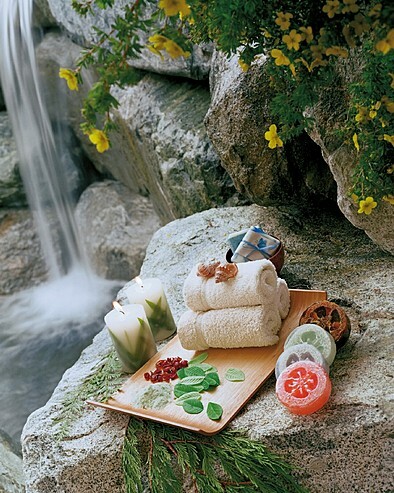 Glistening snow-capped mountains and the peace of nature encircles the Four Seasons’ spa. Its private treatment rooms make relaxing a soothing, introspective experience. The spa treatments take advantage of products only nature could have made—seaweed, essential oils, and clay from the glacial lakes of British Columbia bring out the best in your skin. Yoga classes are offered to both hotel guests and the public, and relaxing packages let you get the full spa experience. 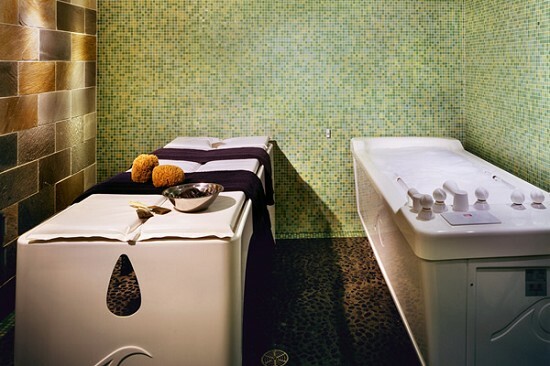 Located in the Fairmont Chateau, the Vida Spa makes you feel like royalty. Whether you start your spa experience with a workout or an invigorating soak in the outdoor whirlpool, you’ll leave feeling restored. The outdoor heated lap pool plays underwater music to help you harmonize while you work out. Fitness programs guided by professional trainers will keep you in peak shape. Many of the spa’s treatments are based on Ayurveda, an ancient practice of Indian medicine. The treatments help improve the body from the inside out, balancing your body and mind so that you can achieve optimal health. Express treatments let you de-stress quickly and return to your vacation. All of the treatments can be performed in the couple’s room so partners can achieve perfect balance. Even though the nature that surrounds Whistler is a serene experience in itself, visitors spending long days outside may long to soothe their sore muscles when they return to their accommodations at the end of the day. The spas in the area take advantage of the scenic beauty; rooftop whirlpools and spas overlooking the ski slopes are not uncommon. After a long day of play and an evening of restful restoration, you’ll return to your hotel room or condo rested and rejuvenated to wake up refreshed the next day. 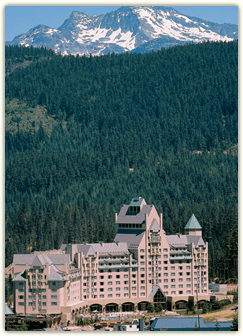 Mark Douval, the author of “The soothing spas of Whistler, British Columbia” is a writer from British Columbia, who also contributes content for whistlerhotels.org, a local guide to activities, Whistler hotels, and unique Whistler lodging listings for condos and town homes.